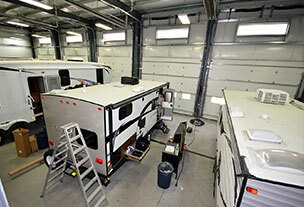 Since 1984, Voyager RV has been the leader in providing RVers with their RV Service repairs, maintenance & warranty work. 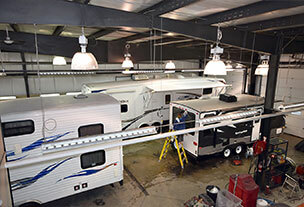 Our friendly and knowledgeable service staff will schedule your RV in with one of our certified RV technicians, so that your RV can be all ready to fully enjoy your camping days. From tent trailers to diesel pushers, we can maintain and fix every RV. Call our RV Service team Toll Free now at 1-800-668-1447 for any RV Service questions, comments or to book an appointment. Or Click here to Book your Service Appt. Online! 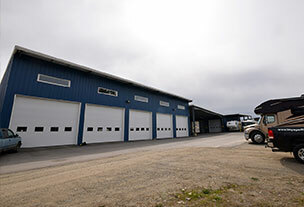 Make an appointment at our 26 Bay RV Care Centre. The Largest in the Okanagan. Introducing Mobile On-Site RV Service. Full RV service and repairs. Your site or ours. It's time to prepare your RV for the coming winter months. Let us help you. It's time to prepare your RV for the coming Summer months. Let us help you.